But in a statement released on Hume’s behalf it was admitted that there were very few bidders for the 264 horns. The auction website had been translated into Vietnamese and Chinese in a bid to attract more bidders. Vietnam and China are the main markets for rhino horn – supplied currently by the huge level of poaching of rhinos in South and southern Africa. But with very few bidders taking part and one presumes little horn sold, it has done little to decisively advance the cause of establishing a legal, regulated market that both John Hume and Pelham Jones, chair of the Rhino Owners Association (PROA) believe can replace poaching, and provide funds to promote the breeding, protection and ultimate survival of rhinos. There’s confusion over what comes next, made worse by the inconclusive result of the online auction, which has neither put a nail firmly in the coffin of legal trade nor shown a massive domestic demand that would put pressure on the government or provide economic incentives for more auctions or private sales. This is the worst of both worlds and will only encourage further poaching, as demand shows no sign of lessening. The situation does not help clear the mess of a three way fight between private owners who favour trade, the government which seems not to know or want to say what it wants to do, and the strong and vocal lobby totally opposed to trade. Groups such as the Endangered Wildlife Trust, for example, are against trade mainly on ethical grounds. The biggest block to the success of the auction was that horns legally purchased cannot be exported legally for sale. The Convention on International Trade in Endangered Species or CITES, bans this. 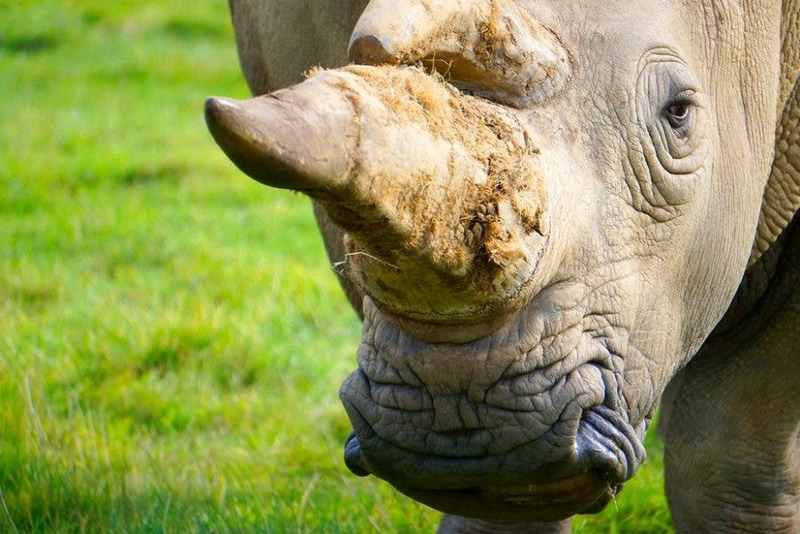 Without lifting the ban or changing their regulations, CITES members like South Africa, China and Vietnam cannot trade any horn. Vietnamese or Chinese buyers can buy horn in South Africa but cannot take it out of the country. Earlier this year, South Africa’s Constitutional Court definitively overturned the 2009 government ban on the domestic trade in rhino horn. The decision caused confusion over how horn would be sold, what permits were needed and whether the department would provide the permits. The ability of the government to develop a viable regulatory system for horn is also in question. The department set conditions on issuing permits for Hume’s sale, which he agreed to comply with fully. Only permit holders can sell to other permit holders. The permit does not allow international trade. Part of the conditions was that the department must have access to the auction to do the necessary monitoring. This would appear to be a first step in providing some sort of regulatory framework for domestic sales. It meets South Africa’s need to be seen to be complying with the 40-year-old CITES ban on the international commercial trade in rhino horn, but at the same time obeying the court order that domestic sales be permitted. Earlier this year the South African government published draft legislation on horn sales that would allow owners of horn (South African or foreign) to take two horns out of the country as personal property but not for commercial sale and as long as the owners had the proper permits. The department then held consultations with interested parties, including private rhino owners, but the proposed legislation has not been released for consideration by parliament. Molewa and the department haven’t said anything about next steps. They have however released a statement affirming South Africa’s commitment to CITES regulations. 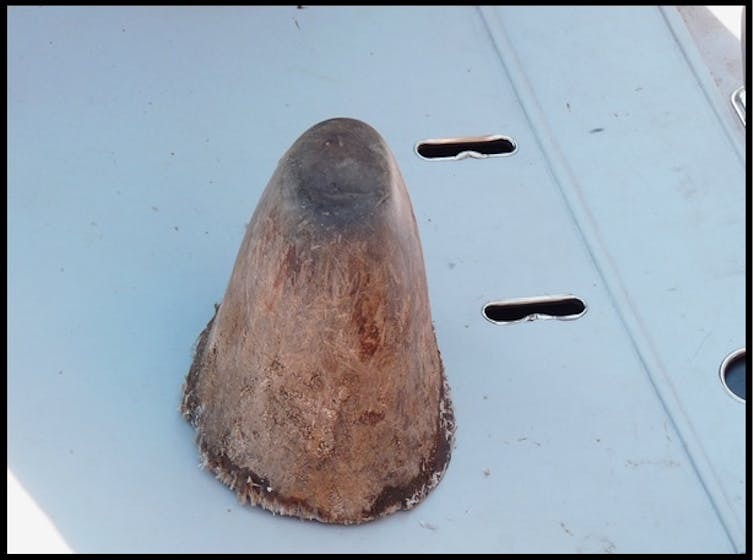 This puts emphasis on the fact that commercial international trade on rhino horn remains prohibited. The department denied that the new draft regulations were meant to circumvent CITES but they did confirm that it would allow limited horn exports. This has set alarm bells ringing that a pseudo trade could develop, with foreign buyers coming to South Africa, buying horn legally, then taking it out of the country after. Monitoring what happens then would be impossible. There is no single solution or silver bullet to put an end to poaching, but the present impasse will only make things worse.